The inaugural fashion event, Penang Fashion Week will soon take place at Gurney Paragon Mall, Penang this April. With the theme “Pearl of Orient”, the fashion event will be a platform for Penang’s designers to showcase their designs and collections, with an aim to introduce Penang as a prominent fashion hub in the country. Held from 18 to 26 April 2015, the fashion show will also provide an opportunity for designers, retailers and shoppers to get together for inspiration and networking. 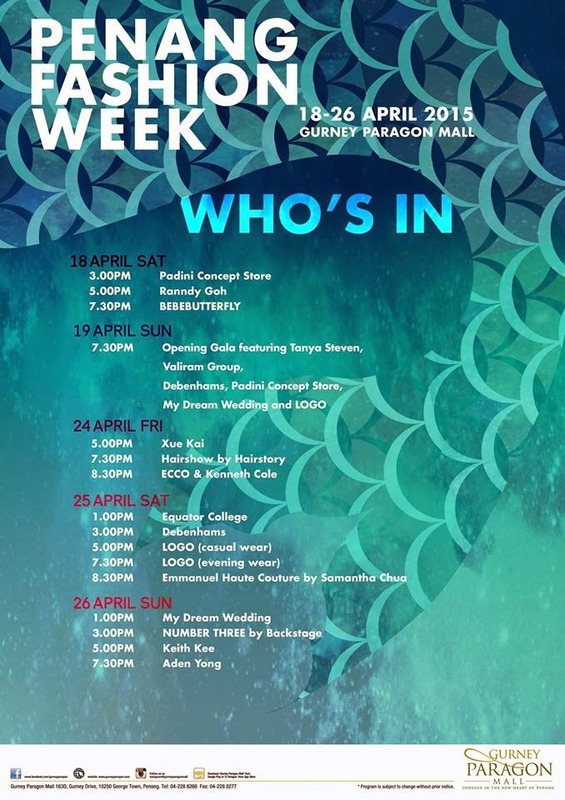 The event will feature talented local fashion designers such as Aden Yong, Keith Kee, Randy Goh, Samantha Chua and Xue Kai who will be showcasing their fashion collections, as well as a special feature from Tanya Steven, who previously took part in London Fashion Week.